Can’t Afford to Vacation? Staycation! We have all felt the knot that develops in your stomach when you cannot afford to splurge on an extravagant family getaway. It’s not fun to completely ignore the nice weather and skip the vacation season, but the time, effort, and money cannot be afforded. Instead of a big excursion, take day trips, weekend getaways, and local adventures to fulfill your need to get away and spend time with the family. Philadelphia – Learn some history and eat a Cheese Steak! The city of Philadelphia is full of free exhibits, cheap museums, fascinating history, and can satisfy your craving for an authentic cheesesteak! This is where American Government got its start and grew to become what it is today! Check out more by visiting The Official Visitor and Tour Site of Philadelphia. Hershey Park- Ride a coaster and tour Chocolate World! Take a trip and get some thrills as you and your family experience #HersheyParkHappy. The Hershey Gardens, Hershey Outlets, and Zoo American provide additional forms of entertainment to help fill your weekend with fun! If you would like an evening event, check out the Hershey Theater and local dining options like the Hershey Pantry and Hotel Hershey. Strasburg Railroad – Take a ride and let off some steam! Take a leisurely tour through the conservative country landscape as your enjoy a first class ride through Paradise PA. The train pauses at several recreational areas that allow travelers to stretch their legs, grab a snack, and enjoy some family photo opportunities. Visit the Strasburg Railroad Online for more information and tickets! Crayola Crayon Factory – Enjoy a colorful adventure with your family! Located in downtown Easton, this colorful crayon factory allows adults and children alike to experience the imagination and fun that goes into each and every Crayola Crayon. Remodeled and redesigned in 2013, this new experience contains 26 exhibits that allow children to play and experiment as they learn about the history and future of Crayola Crayons. Plan your visit with The Crayola Experience! Pennsylvania Grand Canyon – Hiking, Biking, Tubing, Golf, Trail Rides and More! If you are the type that enjoys the great outdoors, this is the perfect vacation destination for you! A state park provides camping facilities, biking and hiking trails follow the canyon river, and country clubs dot the landscape. A local attraction includes Corning Museum of Glass with glassmaking demos and the ability to make your own glass! For more information on the PA Grand Canyon and attractions, visit their PA Page. Knoebels Grove – This Gorgeous Theme Park Takes You Back to the 1900s! Take a trip back in time with wooden roller coasters, ticketed rides, vintage carousel, and live song and dance shows! The air is sweet with caramel corn, hot dogs, french fries, ice cream, and the classic cotton candy treats. Unlike most theme parks, your dog can enjoy the park experience with you and the family. If you don’t want to spend money on food, pack up a picnic and enjoy the shade of Knoebel’s massive picnic pavilions! See more at the Knoebels Park website. Harrisburg – Visit PA’s Capital City for Guided Tours and Museums Galore! The capital city of Harrisburg is home to the National Civil War Museum, PA Civil War Trails, PA National Fire Museum, the Whitaker Center of Science and Arts and so much more! Visitors can tour the beautiful capital building and learn about the history of the government for Pennsylvania and the United States as a whole. Separate tours are available to view the inspiration and artistic design of the gorgeous domed structure that we proudly call our capital building. If you are looking to enhance your adventure, take a private Segway tour of the city! Plan your trip through the PA Capital Website. Hopefully this list of attractions will make your staycation planning a breeze! 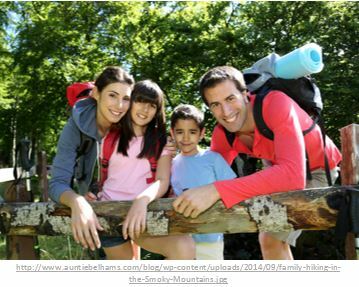 Staying home and spending less money certainly does not mean a family has to forfeit the fun and adventure of a trip. By visiting any of the above locations, one can experience history, enjoy time with loved ones, and spend a reasonable amount to have a great time! These trips can be combined or they can be taken as individual day trips. Be sure to research each location according to the link provided as many locations require the purchase of advance tickets. Zinn wishes you a wonderful staycation!